Name Variation Geraldine Greiten was also known as Geri. Married Name Her married name was Kohlmann. Married Name 15 February 1975 As of 15 February 1975,her married name was Niemann. Geraldine Greiten married (?) Kohlmann. Geraldine Greiten was born on 14 January 1930 at Wisconsin. She was the daughter of William Raymond Greiten and Gertrude Katherine Schmitt. Geraldine Greiten and (?) Kohlmann were divorced before 1975. Geraldine Greiten married Darrell Charles Niemann, son of Allen Albert Niemann and Gertrude Belle Bailey, on 15 February 1975 at Washington, Wisconsin. Geraldine Greiten died on 22 January 2013 at Wauwatosa, Wisconsin, at age 83 Geraldine Niemann (nee Greiten) age 83 of West Bend died Tuesday, January 22, 2013 at Froedtert Memorial Lutheran Hospital in Wauwatosa. She was born January 14, 1930 in Milwaukee to the late William and Gertrude (nee Schmitt) Greiten and married Darrell C. Niemann in 1975 in West Bend. Darrell preceded her in death in January of 1984. Geri was raised in Milwaukee and graduated from Messmer High School. In 1974 she moved to West Bend before settling in Houston in 1980. Following her retirement in October of 2009 she returned to West Bend and became a resident of Cedar Ridge. In spite of her disability she continued to live an active and independent life. Geri loved spending time with her family. Geri is survived by her 3 children: Mary (Jo Chalgren) Baker of Springbrook, WI, Nancy (William) Romine of Jacksonville, NC and Dave (Laura) Kohlmann of West Bend and 5 grandchildren: George and Sarah Romine and Alyssa, Emily and Megan Kohlmann. 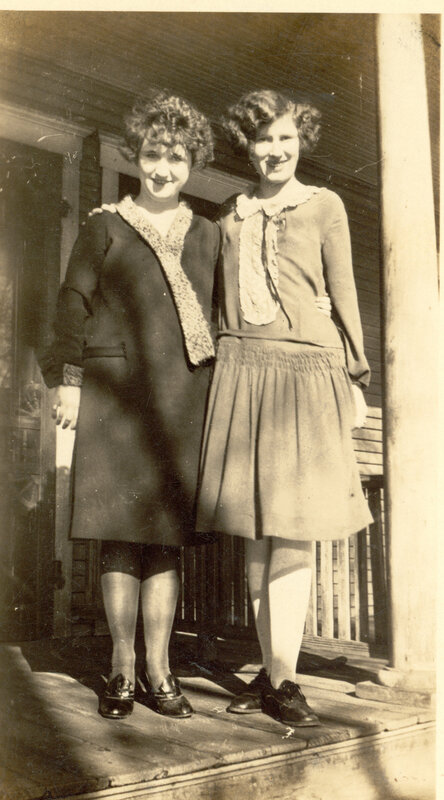 She is further survived by her sister-in-law Delores Hibbard of Three Lakes and other relatives and many friends. She is preceded in death by her parents William and Gertrude Greiten and her husband Darrell Niemann. A Mass of Christian Burial will be held Saturday, January 26, 2013 at 12:00 noon at St. Frances Cabrini Catholic Church with Rev. Nathan Reesman presiding. The visitation will be at the church only from 11:00 a.m. until 11:45 a.m. In lieu of flowers memorials to St. Frances Cabrini Church are appreciated. [S250] U.S. Federal Census 1930 U.S. Federal Census, by Ancestry.com, Year: 1930; Census Place: Milwaukee, Milwaukee, Wisconsin; Roll: 2587; Page: 11A; Enumeration District: 90; Image: 857.0; FHL microfilm: 2342321. [S373] U.S. Federal Census 1940 U.S. Federal Census, by Ancestry.com, Year: 1940; Census Place: Milwaukee, Milwaukee, Wisconsin; Roll: T627_4565; Page: 2B; Enumeration District: 72-562. Floyd Addison Bailey Sr. was born on 19 March 1897 at Baraboo, Sauk, Wisconsin. He was the son of Charles Addison Bailey and Lora A. Foster. Floyd Addison Bailey Sr. witnessed the marriage of Allen Albert Niemann and Gertrude Belle Bailey on 25 July 1927 at Sturgeon Bay, Door, Wisconsin. Floyd Addison Bailey Sr. married Ruth Idell Whittington, daughter of Cullen Rogers Whittington and Dora M. Canant, on 19 June 1936 at Texas. Floyd Addison Bailey Sr. died on 2 November 1970 at Texas at age 73 Floyd A. Bailey, Sr. 73, a longtime Texas City resident died at 5:10 a. m. Monday at Galveston County Memorial Hospital here. Funeral services will be held at 1 p. m. Tuesday at Emken Linton Funeral Home in Texas City, the Rev. Clarence House officiating. Burial will be in Galveston Memorial Park. Bailey was born March 19, 1897 in Baraboo, Wisc. He was a member of the Methodist church and AF & AM 101 in Marquette, Mich. He lived at 2517 First Avenue South. Survivors include his wife, Mrs. Ruth Bailey of Texas City, four sons, Floyd A. Bailey, Jr., Keith Bailey, Timothy Bailey and Michael Bailey, all of Texas City, three daughters, Mrs. Judy Howard of Alvin and Mrs. Ruth Ann Perhuis and Mrs. Mary Lee Madere, both of Texas City, two sisters, Mrs. Gertrude Neimann of Sturgeon Bay, Wisc., and Mrs. Violet Schttschneider of Milwaukee, Wisc. and 13 grandchildren. Floyd Addison Bailey Sr. obtained US Social Security Card at Wisconsin; last residence Texas City, Galveston, Texas. On 30 October 1929 Floyd Bailey, Marquette, Mich., and Mrs. Jacob Hasten, Beloit, are house guests of Mr. and Mrs. Allen Nieman. Mr. and Mrs. Allen Nieman entertained Floyd Baily, Marquette, Mich., Mrs. J. Hastere, Beloit, Miss Belle Nieman, California, Mr. and Mrs. George Nieman and children, and Mr. and Mrs. C. F. Nieman, Wednesday at a 6 o'clock dinner. 30 Oct 1929. 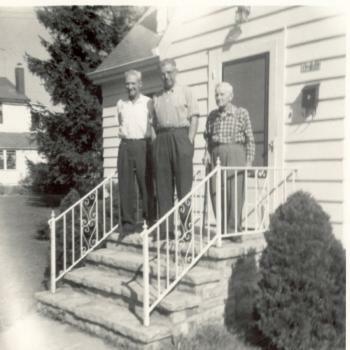 Photo of in-laws Floyd Bailey, Allen Niemann, George Bailey. [S245] U.S. Federal Census 1900 U.S. Federal Census, by Ancestry.com, ED127. Dwelling 9. [S244] U.S. Federal Census 1910 U.S. Federal Census, by Ancestry.com, ED109. Dwelling 200. [S243] U.S. Federal Census 1920 U.S. Federal Census, by Ancestry.com, ED157. Dwelling 133. Name Variation Violet Grace Bailey was also known as Violetta. Name Variation Violet Grace Bailey was also known as Violette G.
Married Name 19 September 1920 As of 19 September 1920,her married name was Sparling. Married Name 16 June 1928 As of 16 June 1928,her married name was Grant. Married Name after July 1939 As of after July 1939,her married name was Schattschneider. She was the daughter of Charles Addison Bailey and Lora A. Foster. Violet Grace Bailey married Irvin Thomas Sparling, son of William Elmer Sparling and Ella Nevada Thomas, on 19 September 1920 at Waukegan, Illinois, Irving T. Sparling of LaCrosse, who has been telegraph operator here for three months, was married Sunday, Sept. 19, 1920 to Miss Violette Bailey of Baraboo. They ceremony occurred in the Methodist parsonage at Waukegan, Ill. And was officiated by the Methodist minister. The bride was tastefully dressed in a brown traveling suit and picture hat. They young couple left on the noon train for a wedding trip to Chicago, Milwaukee, St Paul and Minneapolis, arriving in Reedsburg on Wednesday, Sept. 22nd and will live at 316 West Main St. (from Reedsburg Free Press 9/30/1920). Violet Grace Bailey and Irvin Thomas Sparling were divorced before 1924. Violet Grace Bailey witnessed the marriage of Allen Albert Niemann and Gertrude Belle Bailey on 25 July 1927 at Sturgeon Bay, Door, Wisconsin. Violet Grace Bailey married Mark Hanna Grant, son of Oscar E. Grant and Mary Ellen Pettijohn, on 16 June 1928 at Walla Walla, Washington. Violet Grace Bailey married Edward H. Schattschneider, son of Herman Schattschneider and Johanna Bohm, after July 1939. Violet Grace Bailey died on 22 February 1980 at Door, Wisconsin, at age 76. She was buried after 22 February 1980 at Highland Memorial Cemetery, New Berlin, Waukesha, Wisconsin, This cemetery is in Waukesha County about 20 blocks or so from the Milwaukee County line. 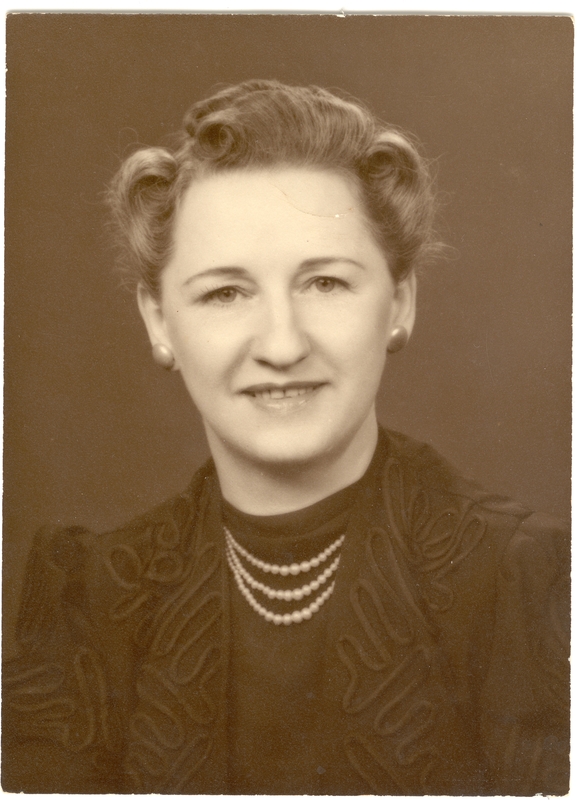 Violet Grace Bailey obtained US Social Security Card at Wisconsin; last residence Sturgeon Bay, Door, Wisconsin; last benefit Milwaukee, Milwaukee, Wisconsin. In July 1921 Mrs Irwin Sparling (Violet Bailey) visited her parents Mr and Mrs Charles Bailey. In 1968 Allen and Gertrude Niemann and Violet Bailey Schattschneider 1968. She lived in November 1970 at Milwaukee, Milwaukee, Wisconsin. [S6] Wisconsin, Wisconsin Vital Record to 1907, Record: SEQ 610. Byron Edwin Adams married Carrie Bell Tillotson. Married Name Her married name was Adams. Carrie Bell Tillotson married Byron Edwin Adams. Name Variation Johann Heinrich Hartmann was also known as Henry J.
Johann Heinrich Hartmann was born on 14 January 1853 at Crete, Will, Illinois. He married Katharina Hilgert on 5 September 1876 at Cook, Illinois. Johann Heinrich Hartmann died on 24 June 1912 at Chicago Heights, Cook, Illinois, at age 59. Nickname Katharina Hilgert also went by the name of Nana. Married Name 5 September 1876 As of 5 September 1876,her married name was Hartmann. Katharina Hilgert was born on 9 November 1855 at Chicago, Cook, Illinois. She married Johann Heinrich Hartmann on 5 September 1876 at Cook, Illinois. Katharina Hilgert died on 15 October 1916 at Chicago Heights, Cook, Illinois, at age 60. Name Variation Heinrich Albert Tatge was also known as Henry. Heinrich Albert Tatge was born on 10 March 1891 at Washington, Will, Illinois. He was the son of Wilhelm Christ Tatge and Matilde Engelking. Heinrich Albert Tatge married Anna Senholtz, daughter of Fred Senholtz and Maria Sophia Louise Grabe, on 23 March 1913. Heinrich Albert Tatge married Katherine Elenore Klemme, daughter of John Charles Klemme and Ella Sarah Corwin, in 1957. Heinrich Albert Tatge died in April 1984 at age 93. Heinrich Albert Tatge obtained US Social Security Card at Illinois; last residence Griffith, Lake, Indiana. In March 1953 attended Henry and Anna (Senholtz) Tatge 40th wedding anniversary celebration. [S243] U.S. Federal Census 1920 U.S. Federal Census, by Ancestry.com, ED207. Page 8A. Dwelling 158. [S250] U.S. Federal Census 1930 U.S. Federal Census, by Ancestry.com, Year: 1930; Census Place: Beecher, Will, Illinois; Roll 569; Page: 5A; Enumeration District: 83; Image: 947.0. Name Variation Eleazer Miles Corwin was also known as Miles. Eleazer Miles Corwin was born on 17 September 1817 at Aurora, Erie, New York. He was the son of James Corwin and Mary (?). Eleazer Miles Corwin married Almeda Kelley circa 1842 at Aurora, Erie, New York. Eleazer Miles Corwin died after 1870. Eleazer Miles Corwin was a lawyer on 4 September 1850. He was a farmer circa August 1860. [S249] U.S. Federal Census 1850 U.S. Federal Census, by Ancestry.com, page 91. Dwelling 1398. [S248] U.S. Federal Census 1860 U.S. Federal Census, by Ancestry.com, Dwelling 3456, 3479. Page 496. Name Variation Almeda Kelley was also known as Amanda. Married Name circa 1842 As of circa 1842,her married name was Corwin. Almeda Kelley was born circa 1823 at New York. She married Eleazer Miles Corwin, son of James Corwin and Mary (? ), circa 1842 at Aurora, Erie, New York. Almeda Kelley died after 1870. Jane Augusta Corwin married James Nelson. Jane Augusta Corwin was born circa 1848 at New York. Lucy Corwin was born in April 1850 at New York. Name Variation Marietta Corwin was also known as Mary Etta. Married Name 26 November 1874 As of 26 November 1874,her married name was Dolph. Marietta Corwin was born circa 1854 at New York. [S186] Illinois, Illinois Statewide Marriage Index, vol D /page 4 license 171. [S246] U.S. Federal Census 1880 U.S. Federal Census, by Ancestry.com, NA Film Number T9-0255 Page Number 536C. Name Variation Matilda Corwin was also known as Tillie. Married Name 16 November 1880 As of 16 November 1880,her married name was Hix. Married Name 16 November 1880 As of 16 November 1880,her married name was Hirt. Matilda Corwin was born in June 1855 at New York. [S186] Illinois, Illinois Statewide Marriage Index, vol D /page 59 license 2617. Elizabeth Corwin was born circa 1857 at Illinois. James E. Corwin was born circa 1858 at Illinois. He was the son of Eleazer Miles Corwin and Almeda Kelley. James Corwin married Mary (?). Name Variation Mary (?) was also known as Polly (?). Married Name Her married name was Corwin. Mary (?) married James Corwin. Rachel Corwin was born in 1807. She was the daughter of James Corwin and Mary (?). Simeon Bryant Corwin was born in 1809. Simeon Bryant Corwin died in 1869. Israel Corwin was born in 1811. Israel Corwin died on 7 August 1852. Maria Corwin was born in 1813. Jeanne Corwin was born in 1815. Benjamin K. Corwin married Martha (?). Benjamin K. Corwin was born in 1819 at New York. Benjamin K. Corwin was a laborer on 4 September 1850. [S249] U.S. Federal Census 1850 U.S. Federal Census, by Ancestry.com, page 92. Dwelling 1401. Diana Corwin was born on 11 March 1828. Diana Corwin died on 19 February 1845 at age 16. Martha (?) married Benjamin K. Corwin, son of James Corwin and Mary (?). Martha (?) was born circa 1820 at New York. Diana M. Corwin was born circa 1847 at New York. She was the daughter of Benjamin K. Corwin and Martha (?). Mary Corwin was born circa 1849 at New York. Name Variation Mary A. Hilgenhold was also known as Hilganold. Married Name circa 1878 As of circa 1878,her married name was Volmer. Mary A. Hilgenhold was born on 16 May 1859 at Troy, Perry, Indiana, also reported as May 1858 Ohio. She married Herman Volmer Sr., son of Bernard Volmer and Francesco Freidler, circa 1878 at St. Mark's Catholic Church, Perry, Indiana. Mary A. Hilgenhold died on 10 January 1932 at Draper, Jones, South Dakota, at age 72. Mary A. Hilgenhold had 9 with 9 living in 1900 children. Children of Mary A. Hilgenhold and Herman Volmer Sr.
[S296] Missouri, St. Ludger Cemetery, Deepwater, Henry, Missouri. [S246] U.S. Federal Census 1880 U.S. Federal Census, by Ancestry.com, ED38. Dwelling 146. [S245] U.S. Federal Census 1900 U.S. Federal Census, by Ancestry.com, ED81. Dwelling 231. [S243] U.S. Federal Census 1920 U.S. Federal Census, by Ancestry.com, ED92. Sheet 7B. Dwelling 137. [S250] U.S. Federal Census 1930 U.S. Federal Census, by Ancestry.com, ED38-5. Dwelling 11. Herman H. Volmer Jr. was born on 16 May 1881 at Indiana also reported as Sep 1882. He was the son of Herman Volmer Sr. and Mary A. Hilgenhold. Herman H. Volmer Jr. married Martha K. Pratsch in 1907. [S250] U.S. Federal Census 1930 U.S. Federal Census, by Ancestry.com, EDED68-27. Dwelling 10.